Griselda Olivas, a registered nurse with over 30 years of experience in the medical field, is often described as a true advocate for women in the fight against breast cancer.As a kid Olivas was the friend that will always take care others, “if my friends were injured I will go and get a band –aid,” says Olivas. 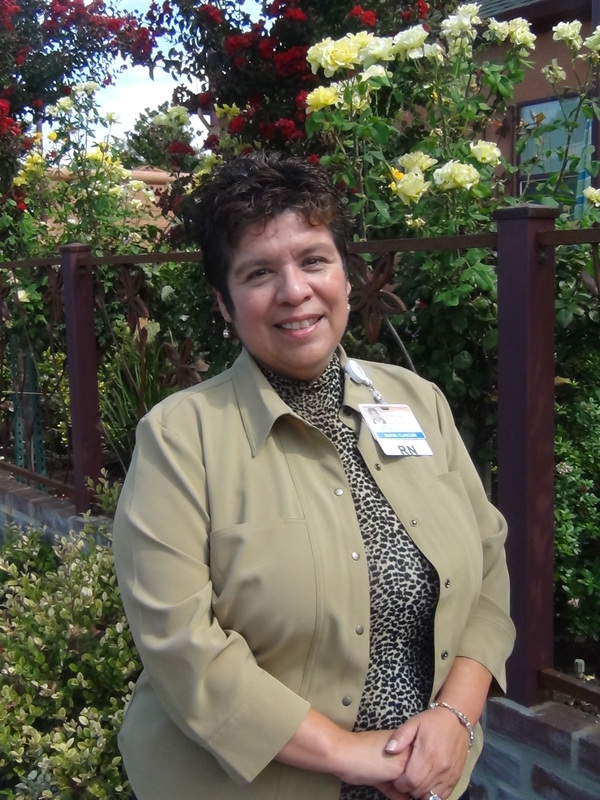 Today Olivas applies more than just band-aids; she is a registered nurse at Saint Joseph’s Medical Center and Cancer Navigator for the mobile mammography program. 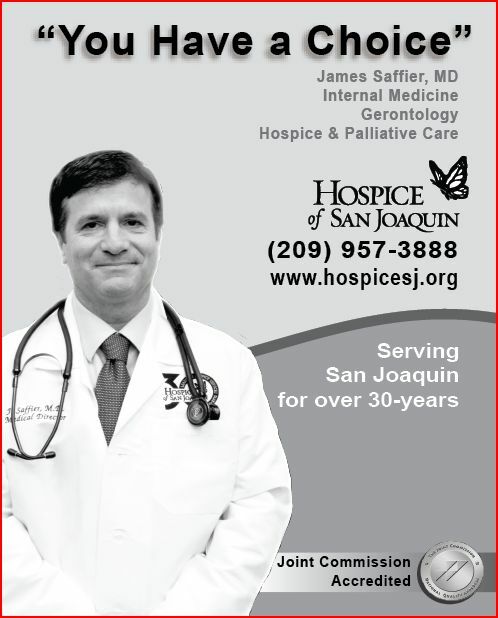 Olivas first job was at San Joaquin General Hospital. But ultimately she wanted to work specifically in women`s health. And so one day, 16 years ago, looking at the newspaper, a job ad caught her attention. 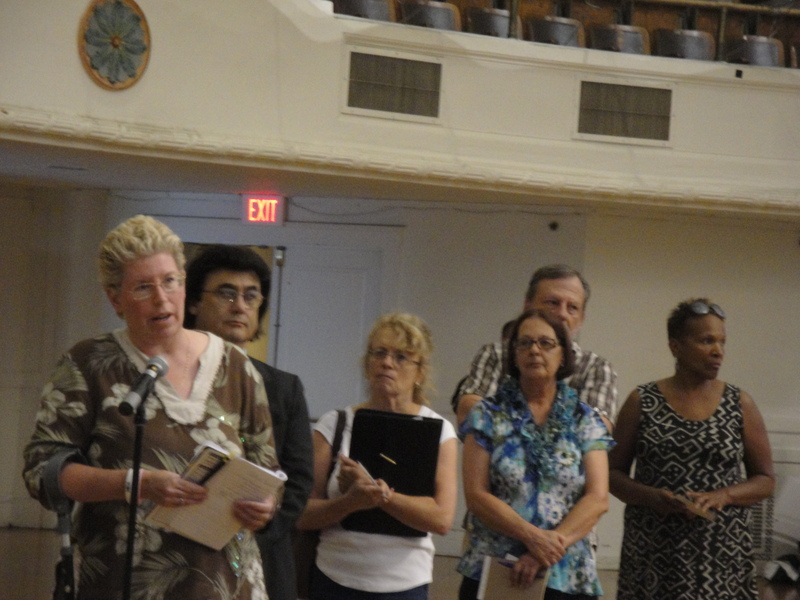 “I will like to do something like that, to go out to the community and help my Latina women,” thought Olivas that day. And so she started working for the cancer detention program at medical center and has worked tirelessly to improve the care of breast cancer patients around the community. During her first years with the program, Olivas realized that many of her patients only spoke Spanish, and that many women did not attended their appointments. Olivas created the navigation services programand the “Comadre” (Comrade) workshop which caters to the needsof women, especially Latinas facing breast cancer. At the time Latinas had limited informational resources due to the language barrier, the “Comadre” workshop dedicated to provide resources and information about breast cancer in the Latina community. 13 years have passed and the mission of the Comadre Workshop continues, the next one to be held at St. Linus Church on Tuesday, October 30th from 5:30 -8:00 P.M.
To attend the Comadre Workshop you must registered by calling (209) 461-5367. 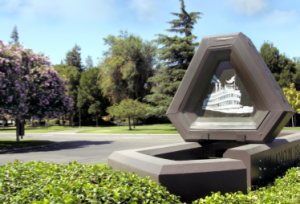 SAN JOAQUIN COUNTY— Victory Media, the premier media entity for military personnel transitioning into civilian life, has named San Joaquin Delta College to the coveted 2013 Military Friendly Schools list. The 2013 Military Friendly Schools list honors the country’s top 15 percent of colleges, universities and trade schools that do the most to embrace America’s military service members, veterans and spouses as they work toward academic and career success. Delta College was also selected to the 2012 Military Friendly Schools list. Victory Media’s 2013 list of Military Friendly Schools was compiled through extensive research and data-driven surveys of more than 12,000 VA-approved schools. The survey results for the list were independently tested by Ernst & Young LLP, based upon the weightings and methodology established by Victory Media. Each year, schools taking the survey are held to a higher standard than the previous year via improved methodology and criteria developed with the assistance of an Academic Advisory Board (AAB) consisting of educators from schools across the country. San Joaquin Delta College’s Veteran Resource Center moved to its new location in the DeRicco Student Services Building (DeRicco 151) and it will be open on October 13, 2012 — the first day of Delta’s fall semester. The Veteran Resource Center provides: Quiet Study Area; Tutoring; Computer Access; Workshops; Veteran Benefits Information; Networking and support with other campus veterans and a meeting space for the Veteran Student Alliance. 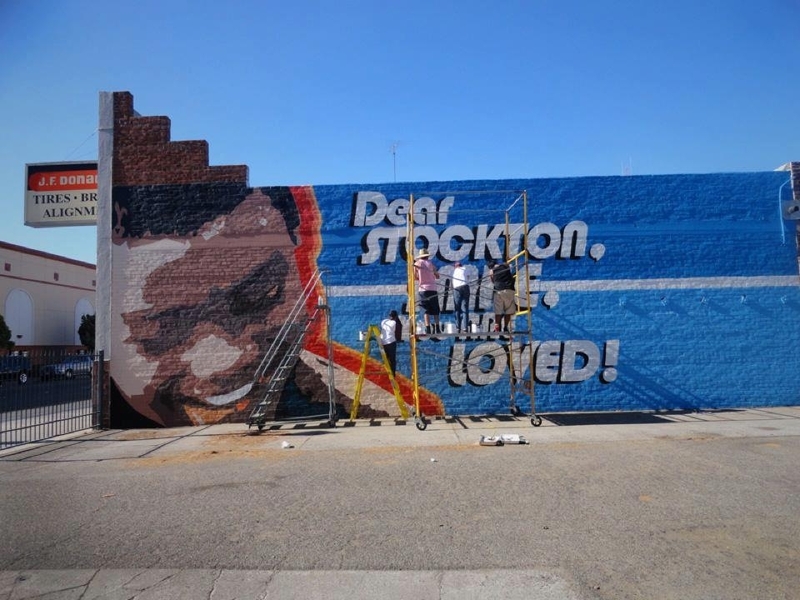 STOCKTON, CA- “Dear Stockton Smile You Are Loved,” is the message that the reads the new mural on 240 N. Hunter Street in downtown Stockton. The mural “Dear Stockton” is a collaboration between Benjamin Saffold, a group of local artists, and JF Donaldson Tires ; it was completed last Sunday, August 26 after three days of work. Local artist, Joel Aaron Munoz created the design for mural that is now part of the city of Stockton as part of the “Dear Stockton Project” and ongoing project that allows the community to demonstrate their love for the city of Stockton. “There is people that love Stockton that have not had a microphone in front of them, that have not been interviewed or asked about how they see Stockton,” added Saffold. And so the “Dear Stockton Project” gives the space for community to express themselves. Starting November, 15 Volaris will start service between Sacramento International Airport and Guadalajara, México. SACRAMENTO,CA- Volaris, one of the most prominent airlines in Mexico, announced the launch of four routes to commence operations on October 15 in stages: Guadalajara-Sacramento, California; Queretaro, Queretaro – Tijuana and Cancun, and Tepic -Tijuana, which strengthens its expansion strategy nationally and internationally. Enrique Beltranena, CEO of Volaris, explained that with these openings, the airline opens a range of possibilities between destinations that so far were not available to the public. Those interested in flying on the Sacramento route, may do as of November 15, on Tuesday and Thursdays. 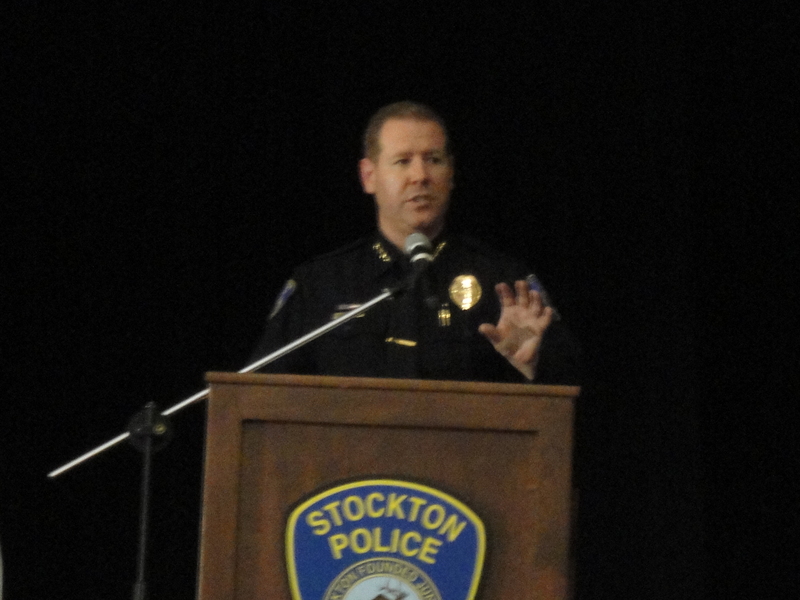 STOCKTON, CA- As part Stockton’s violence Reduction Initiative, the Stockton Police Department seeks the help of the community at a town hall meeting on Wednesday, August 23 at the Stockton Civic Auditorium. At the meeting a number of community members expressed their concerns and criticized the strategies of the SPD to defeat crime. The police department is currently focused on getting guns and gangs off the streets. In four years the Stockton Police Department went 441police officers patrolling the streets down to the 320, a thirty percent reduction. “The rate of officer per violent crime, we are the highest in the nation definitely within the state , we have about 11.7 violent crimes per officer within the City of Stockton…Cities like San Francisco and Los Angeles have two, Oakland is close to 9,”explained Jones. Jones encouraged the community to report crime and to lessen the chances of them becoming a victim of crime. 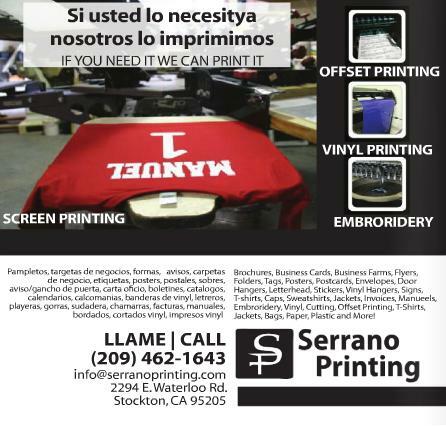 STOCKTON, CA- Statewide and local non-profit organizations bring and opportunity and space for the community to meet with local candidates and learn more about the recent Deferred Action policy on August 4th at La Jamaica located at 609 S. Lincoln St. Stockton, CA 95203. The event aims to get communities to become more familiar with local candidates and get to meet them personally and so build a strong relationship between community members and political leaders across the Central Valley. The forum will provide information about the Deferred Action Announcement by the Obama Administration on June 15 and give the community time to ask questions and express their concerns. 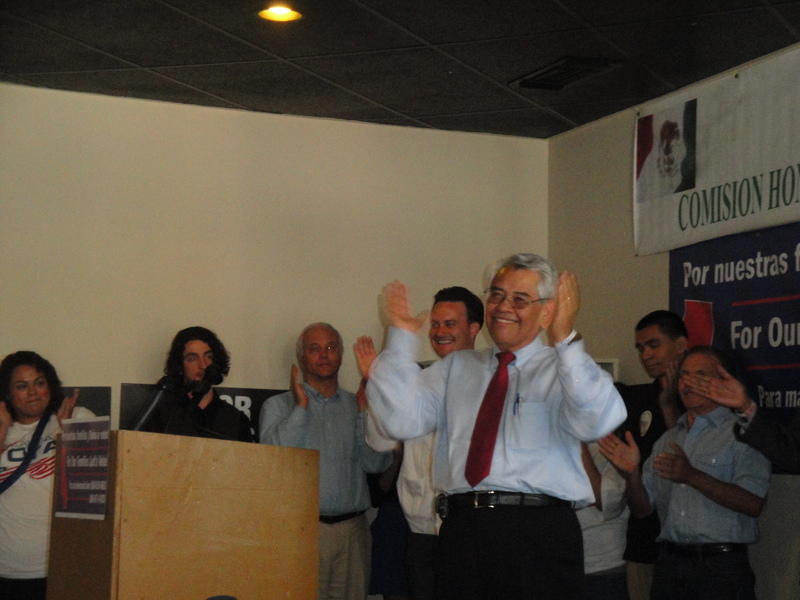 STOCKTON, CA- Stockton is the first stop of the national campaign ¡Todos a Votar! (Let`s Vote) tour to register and mobilize Latino voters. Led by six national Latino advocacy groups, ¡Todos a Votar! Campaign kickoff was held on Thursday, July 26 at the Comision Honorifica Mexicana, “La Jamaica” and is expected to travel to four cities and five other states. The 2012 presidential election could be one of the most important for Latinos because the political party debates are polarizing issues close to home, such as jobs, taxes, immigration and health care. “We will decide who will be elected president of the United States and who will be running the congress… we will also make sure that the issues that we care about are placed on the agenda,” said Eliseo Medina, Service Employees International Union International Secretary Treasure. Vanessa Maciel and Adriana Granados, two volunteers of Mi Familia Vota, walk through the streets of Stockton encouraging people to cast their vote. 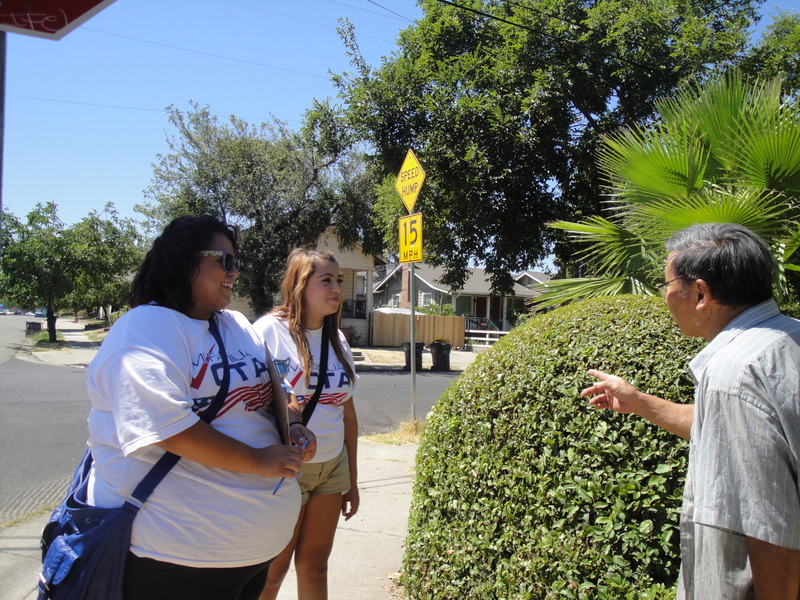 Through the door to door campaign Vanessa Maciel (23) and Adriana Granados (14), two of the thirty volunteers in Stockton, are determined to increase the Latino voter turnout in the San Joaquin County. Are you registered to vote? is the question that Maciel and Granados continuously ask as they walk through the streets of Stockton, hoping to register as many new voters as they can. The goal of the campaign is to nationally register 650,000 new voters, – two thousand of them in the San Joaquin County. For the labor rights leader, Medina, this November the election will also determine whether 1.2 million dreamers and eleven million workers, will legalize their immigration status.The Latino electorate is not a “sleeping giant,” says Arnulfo de la Cruz, California State Director of “Mi Familia Vota,” one of the national participating Latino advocacy groups. With 30 volunteers in Stockton and 25 Modesto, the campaign plans to triple the number of volunteers as the election gets closer. The ¡Todos a Votar! National Tour will next travel to Los Angeles, Riverside and San Diego, to eventually reach Nevada, Arizona, Texas, Florida and Colorado. According the National Association of Latino Elected and Appointed Officials (NALEO), in California, New Mexico and Texas, at least one in five voters will be Latino.